Kate Colbert: [00:00:00] My book is not about turning accountants into marketers. It’s about helping people like accountants make better decisions about their accounting practice by thinking like a marketer. 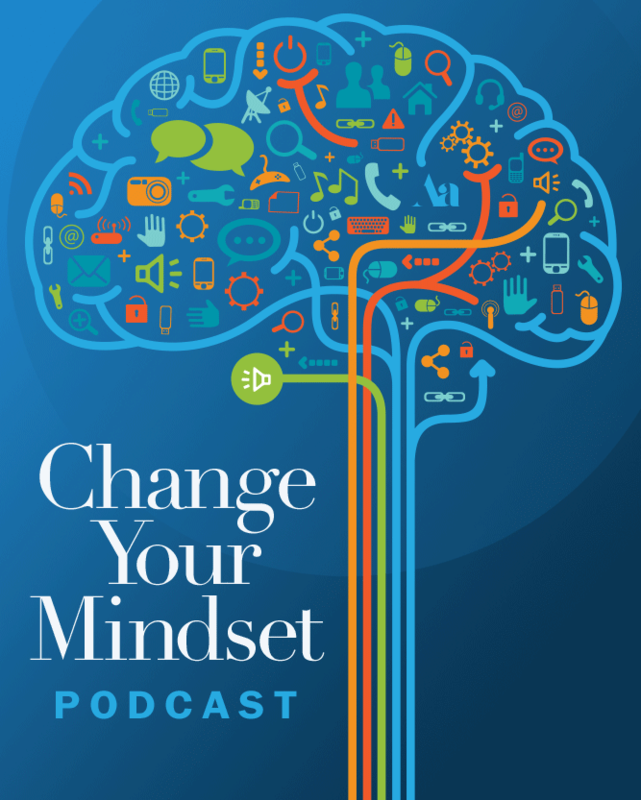 Peter Margaritis: [00:00:19] Welcome to Change Your Mindset Podcast, formerly known as Improv is No Joke, where it’s all about believing that strong communication skills are the best way in delivering your technical accounting knowledge and growing your business. An effective way of building stronger communication skills is by embracing the principles of applied improvisation. Peter Margaritis: [00:00:39] Your host is Peter Margaritis, CPA, a.k.a. The Accidental Accountant. And he will interview financial professionals and business leaders to find their secret in building stronger relationships with their clients, customers, associates, and peers, all the while growing their businesses. So, let’s start to show. Peter Margaritis: [00:01:04] Welcome to Episode 11. And my guest today is Kate Colbert, who’s the author of the newly released book, Think Like a Marketer: How a Shift in Mindset Can Change Everything for Your Business. She’s an author and owner of Silver Tree Publishing. And they were the ones who published my new book. Kate provides great marketing advice for anyone in business and has tailored our conversation to the financial professional. 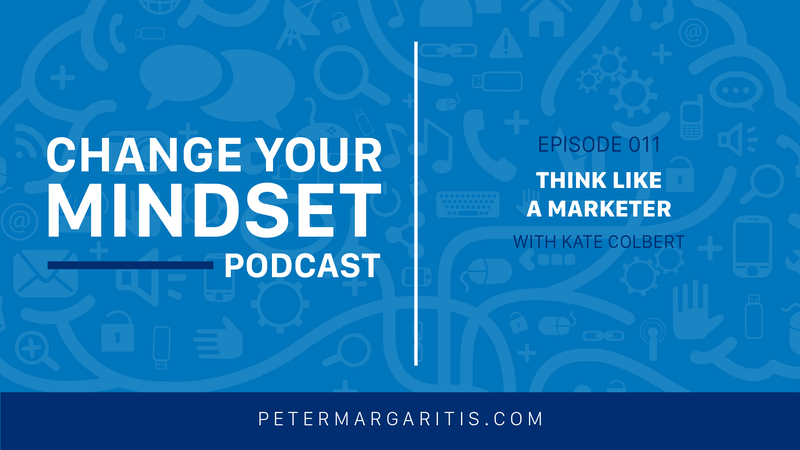 Peter Margaritis: [00:01:31] In Think Like a Marketer, Kate discusses the five principles to guide you to shift your mindset and change everything for your business. Those five principles are communicate for connection and meaning, not just to transact sales. Live and die by your customers’ insights. Market in a way that’s strategy religious and tactic agnostic. Create cultures and processes that align with your brand. And do everything in service of maintaining a virtuous cycle of creating value for the customer while capturing value for you. Peter Margaritis: [00:02:09] Now, Kate will discuss in greater detail each of these five principles. And I am confident if you execute to these five principles, you’ll begin to see signs that your marketing is resonating with your audience and having an impact. Peter Margaritis: [00:02:24] There was an article in The Journal of Accountancy entitled Networking Tips for Quiet People: A Little Preparation Can Take the Fear Out of Networking. After reading this article, it ties nicely with Kate’s first principle: Communicate for connection and meaning, not just to transact sales. First, networking is a necessity in the business world. If you don’t like networking, I blame your mother. That’s right. I blame your mother because your mother always told you never talk to strangers. Peter Margaritis: [00:02:59] In the business environment, think of networking as the pursuit of opportunities to grow your career, your business, and your influence. And it’s not talking to strangers. Nobody in that room is a stranger. A stranger is sitting somewhere with a ball of Mogen David and trying to talk to a telephone pole. Those are strangers. In a business environment, there’s no such thing as a stranger. Peter Margaritis: [00:03:25] The article gives seven approaches to help you become a better and stronger networker. And they are, number one, practice, self-explanatory. Attend more than one networking event. Work on this constantly in your free time. The only way that you can get better is by practice. And also, number two, realize that others are nervous about it as well as you are. So, everybody has a little bit of nerve when they meet new people. That’s fine. And then, probably, say follow the fear. Lean into those nerves. Peter Margaritis: [00:04:00] And always have go-to questions. When I network, one thing I like to do is ask the person to tell me about them and their business. And I listen to what they say because I’ve never met one entrepreneur that won’t stop and tell you everything they know about their business before talking about you or asking about yourself. Listen and ask questions. This also helps increase your confidence level. Always, always, always avoid sensitive topics. I rarely talk about, if ever, talk about religion, politics, or anything along those lines. Peter Margaritis: [00:04:31] Another tip is arrive early because, at times, when you walk in, and the event has already started, there’s a lot of people already networking, and it can be intimidating. If you’re early, you get a jump on everybody. You can start networking and start with that practicing a lot earlier than showing up later. Peter Margaritis: [00:04:50] Know when to end it. And stopping is always a tough thing. We’re there to meet as many people as we can, and have some small conversation, and move to the next. And you can politely say, “I appreciate meeting you. Thank you very much. We’ll exchange some business cards. And I need to run to the restroom real quick,” or “I need to go freshen my drink,” or “I need to go shampoo my hair,” whatever but don’t spend all night with one individual. Networking requires us to spend a short amount of time with as many people as possible. Peter Margaritis: [00:05:22] And follow up, I think, is the key. Usually, at an event, I will gather a fair amount of business cards, and I’ll go through that evening on which individuals I want to follow up with that we have some synergies I can tell from the conversation to explore it even more. Peter Margaritis: [00:05:39] The article is dated on June 11, 2018. And my guest on a former podcast episode, Kristen Rampe is quoted in this article. Now, I know Kristen, and we met through someone who thought we would be a good connection for each other. Well, you know what, they were right because Kristen has launched Slide Deck Improv, and I’ve joined her to be one of her facilitators. This is the true product of networking. Remember networking is all about relationships, so is your marketing. It’s all about relationships. Peter Margaritis: [00:06:14] So, before we get to the interview, let me ask you a couple of questions. Do you want to present financial information with confidence and clarity? Do you want to turn boring numbers into a compelling story that describes your business better? If so, read my new book, Taking the Number Out of Numbers: Explaining and Presenting Financial Information with Confidence and Clarity, and let it be the guide in your transformation. Peter Margaritis: [00:06:38] When you take the numb out of numbers, it leaves you with -ers, ERS, which stands for effective relatable stories. Isn’t that the goal of every financial presentation? Hayden Williams, who’s a CFO at the Washington Society of CPAs, is quoted saying, “This book is a must read for any financial professional.” The book is available now on Amazon, and Paperback, and on Kindle. So, stop what you’re doing and buy it today. So, without further ado, let’s get to the interview with Kate Colbert. Peter Margaritis: [00:07:17] Kate, I have been so looking forward to this conversation with you. First and foremost, I know your schedule. I know how busy you are. I know — I don’t think you sleep at all because during the time we were working on my book, I think you were up 24/7. So, thank you so very much for finding some time to let me talk to you and interview you about your upcoming book. Kate Colbert: [00:07:40] Thank you. Oh no, there’s always more time in the day. I’ve found that it’s really just a matter of perspective. Peter Margaritis: [00:07:46] I’ve always heard that too, but, apparently, I don’t have that group of perspectives sometimes. I need to find more time in my day. Kate, can you give everybody just kind of a little bit of background, so they get to know you just a little bit? Kate Colbert: [00:08:19] Yeah. So, I have a background in the literary world. I have a graduate degree in Comparative Literature. So, I have a library in my house. That doesn’t surprise people who know me really well. So, books are sort of my life. And I was one of those few people, I think, who decided to go the writer’s path, who really understood pretty early on that there’s a really good way to make money as a writer, and it’s not about short stories or poetry necessarily, but it’s about telling stories for companies. It’s about connecting brands, and services, and products to customers that are waiting to make use of them. Kate Colbert: [00:08:56] So, that’s really how I’ve made my career. I own two companies. The parent company, which I started about 16 years ago, is called Silver Tree Communications, and we’re a full-service marketing company. We do a lot of storytelling and writing for various industries, primarily higher education and healthcare but also professional services. We have a fair number of clients in the financial services industry. And I also own a company called Silver Tree Publishing, which is home to several book imprints, but we’re most known in the non-business or sort of the nonfiction book business space. Peter Margaritis: [00:09:32] And once again, I don’t know how you do it. That’s a lot. And by the way, you’re really good at what you do. I heard that a lot when we were at NSA, National Speakers Association Annual Convention. I saw those who you have published, they were all raving about you and about the quality. I am still raving about the quality of books. When I got mine, literally, I was speechless. My wife had hit me in the back of the head to get loose. It was one of those big wows. And a big public thank you for that. Peter Margaritis: [00:10:09] But we’re not here to talk about mine. We’re here to talk about yours. And I find that I kind of wish I waited a little bit of time, and then had you publish your book first, so I could read it while my other one was getting done because I am a CPA who’s not a very good one, but I love want communication. I have a passion for the profession. Peter Margaritis: [00:10:31] True story, the first book, when they had 200 copies delivered to my house, people asked me, “Weren’t you so excited?” I went, “No.” They go, “Why?” And so, I looked down, and I went, “Now, what the heck do I do?” And, literally, I had absolutely no clue. So, I’m interested, just as much as my audience is, help us think like a marketer. Kate Colbert: [00:10:55] Yeah. And the exciting thing is that it doesn’t matter where you are in your journey, whether we’re talking about a book that you just wrote, or if we’re talking about a business that you founded, or a business that you work in, the perfect time to start thinking like a marketer is now. It’s not about worrying about what you could have done if you’d known. Kate Colbert: [00:11:12] So, you know, I will say to you about your book what I say to all authors, a book is not a piece of fresh fruit that is going to spoil. So, your book is still very, very new. But even if it was a year old or three years old, the lessons in your book are really pretty timeless. And it’s a brand-new book for the people who have not heard about it and not read it yet. And so, it’s never too late to be promoting it really well. Kate Colbert: [00:11:35] And for those of you who are listening who own accounting practices, or work in accounting practices, or run financial services, it’s never too late to be thinking about, how do I understand my customer better? How do I connect to him or her more meaningfully? How do I get more insights from them? How do I tell my story differently? How do I compete differently? And how do I stop wasting my time on some things that I think are vital marketing activities that I should be doing, and maybe focus my attention on things that will net me a better return in terms of capturing value back to the bottom line? Kate Colbert: [00:12:08] And that’s what my book is all about is helping business leaders and business owners just be sharper by shifting the way they think about a lot of the day-to-day decisions they’re making. And so, my book is not about turning accountants into marketers. It’s about helping people like accountants make better decisions about their accounting practice by thinking like a marketer. And it’s a pretty, I think, clean sort of formulaic way to teach them how to do that. So, I’m just really excited to bring this book to market. Peter Margaritis: [00:12:37] I think the principles that are in your book, those five pillars, I believe, they will apply to whether somebody is in public accounting, or somebody who works in a finance department for a major corporation, academics who teach in the field, and even governmental accountants because most — And when I ask audiences, “How many of you are marketing people?” guess how many hands go up? Zero, exactly. And I’m going, “But how did you get to-” In a lot of cases, they always come back to the R word, referrals. But now, we’re realizing or I’m realizing that that’s just not enough. Kate Colbert: [00:13:52] So, a great example of that for me, and I think this will resonate with your listeners. So, I do a lot of communications. I also do crisis communications. So, when someone — And this has been an interesting endurance for this me-too era. So, when somebody gets ousted from a job, or they’re accused of something, or something goes horribly wrong at your company, right, and often by no fault of your own. Your business burns down, there’s a scandal, your CEO is involved in some sort of scandal, my company does a lot of work to help people figure out, how do we message around that? What do we say to the media? What do we put on our website? Kate Colbert: [00:14:27] You know, I live in the sort of Chicago Milwaukee area, and there’s a large megachurch near us, and they just went through this massive scandal where their entire board was asked to step down. And, you know, I was not involved in helping them, but I did sort of post some things on social media about how they handled it, and the messaging, and they handled it really as well as they possibly could have so that, you know. Kate Colbert: [00:14:49] But the point is that if you think, “Well, people know me, and they refer to me, and that’s all we need to do. I don’t need to market,” you really need to be asking yourself though, do they know the right things about you? So, for example, if my most happy clients were — Let’s say my happiest clients are the people whose reputations I’ve saved because I’ve handled their media crisis and the people whose books I’ve published because they’re pretty happy, right? Interestingly, those are the two smallest areas of my business, and they’re among the lowest margin areas of my business. Kate Colbert: [00:15:22] So, if I relied on referrals to keep my business growing, all I would do is handle people’s crisis, and they would be calling me at 3:00 a.m., “Oh my god, Kate. I just got a Google alert. My name just showed up in this horrible article. What do I do? My wife is crying,” and I would be getting tons and tons of book manuscripts, which we already do, and I would never ever catch up, and I would never get to work on the projects that are really what I’m super passionate about, which is brand storytelling and major market research projects. Peter Margaritis: [00:15:52] So, if you count on your clients to go tell your story for you to the marketplace, they might be telling the wrong story. They might be telling people that you’re a great tax accountant when what you really want to be is sort of the day-to-day strategic accounting advisor for business owners. If your clients are telling the wrong story for you, you will continue to get the wrong referrals. Peter Margaritis: [00:16:13] Wow, that was spot on because most accountants that I know or those in financials that they don’t want to be doing the front tax professional accounting. They want to be the strategy. The strategery, as Formal President Bush would say. Kate Colbert: [00:16:29] Yeah, yeah. Peter Margaritis: [00:16:30] And the strategic thinking, being at the table with everybody else, but they spend a lot of time doing their one-on-one professional accounting, nuts and bolts. Well, I will say they should be more thankful about technology because technology is going to take that away. And, now, they’re being forced by the marketplace to be more of a future thinker, more of an adviser than somebody who sits in a cubicle or sits in office, and it’s a 10-key all day. And, again, I still think there’s a support group for you people who are still using this 10-key. So, let’s talk about the book. You’ve got these five pillars. So, what are the five pillars? Kate Colbert: [00:17:12] Yes. So, thinking like a marketer, the concept is something I’ve developed over the years based on what I’ve seen work for my business, as well as for the many, many clients that I serve. And there’s sort of these five principles of thinking like a marketer. Principle number one is communicate for connection and meaning, not just to transact sales. And I’ll give you some thoughts around that but let me sort of walk you through them. Kate Colbert: [00:17:34] Principle number two is live and die by your customer insights. So, you’ve got to be listening. What are they telling? Number three is really about what I call market in a way that is strategy religious and tactic agnostic. And no, this has nothing to do with like who you pray to, but it’s about being open to a different marketing tactics. Kate Colbert: [00:17:53] Then, principle number four is about creating processes and cultures at your organization that align with the brand and the story that you’re telling to the marketplace. And the fifth principle is one that sort of touches everything that you should be doing in your company, but it’s about doing everything in service to what I think of as sort of a virtuous cycle of creating value for the customer, and then capturing it back for you, and how do you always make sure you’re creating enough value and capturing enough value because a lot of folks, they’re a little bit lopsided. Kate Colbert: [00:18:25] … how the listeners of your podcast can apply these principles. So, principle one is really all about taking the time to communicate with the customers to connect with them, and to create meaning, not just to transact some sort of sales. I would say that in recent years, I’ve been very impressed by professionals in the financial services industries who are starting to communicate more for meaning. Kate Colbert: [00:18:49] So, they’re starting to tell more stories, they’re starting to share more insights, things that are not just about, “Don’t forget to make your appointment, you know, to file your taxes.” So, they’re blogging. They’re doing a lot of the work that you’re doing in terms of podcasts. They’re writing books. They’re putting out some newsletters. Those things are great. Kate Colbert: [00:19:05] What I would love to see accountants and financial professionals do more of is find better ways to create one-to-one communications with their clients, with their prospective clients that are not about selling them something, and it’s not about reporting. So, you know, if you ask the average American, how often do you hear from your accountant, or your financial planner, or what have you, and it’s not them trying to get you to do something, and it’s not your annual sort of performance meeting, and it’s not a reporting, right? Kate Colbert: [00:19:36] So, I happen to love my accounting firm, but right before we got on this call today, I was scanning an invoice from them, right. They were sending the quarterly payroll filings, right. So, the payroll returns. And what does it look like if you can find ways to have conversations not just with the masses, not just the newsletter to your entire database, but what does it look like to bake it into the way you do business to be regularly communicating with your clients and your prospective clients about different things like, “Hey, Peter, I was just reading this interesting article,” or “There’s a change that’s been made for the tax code that reminded me about the structure of your business that I wanted to make sure that you’re kind of up to speed on this. Can we have a cup of coffee?” And what does that look like to be having those conversations when it’s not all about closing a deal or opening a door. Kate Colbert: [00:20:29] The firms and the professionals who are finding ways to create meaning and connection in the way they communicate beyond just the stuff that’s on their to-do list are the ones that are creating really sustainable businesses for the long haul and, by the way, are capturing a lot more value to the bottom line because they can raise their prices because they’re more meaningful. Peter Margaritis: [00:21:13] But it’s not until Cathy Fyock, and you know Cathy. When she spoke at our NSA chapter, she wrote the book, Blog2Book. She’s a business book coach. When she started her seminar, she goes, “I hate to write that,” and she wrote a book in, what was it, seven weeks or something like that. Kate Colbert: [00:21:33] Yeah, yeah. Several of her books, I think, she’s written in less than three weeks. Yeah. Peter Margaritis: [00:21:37] And that caught my attention because I don’t like to write, but if she could do it. And I’ve been trying to pass that message on to this audience is writing is messy. Kate Colbert: [00:21:49] It is. And it’s an imperative. So, if you choose to have a job where you have customers, even if they’re internal customers, right, you work in a large corporation where you work an accounting function, and you have all these internal departments that run their paperwork through you, you have customers. No matter what you do, you have customers. And if you do work where you have customers, you have to communicate. And whether it’s hallway conversations or bazillions of e-mails that are gobbling up the hours in your day, you have to be an effective communicator. Kate Colbert: [00:22:51] And so we spent a lot of time teaching them, not just how to get the grammar right, but we did that. I spent a lot of time with them helping them understand a formula for how to write more persuasively because they’re trying to get FDA approval for their drugs. And so, being more persuasive is vital in many, many roles, including very technical roles. So, those are the kinds of things that I think people are forgetting about is that you have an imperative to communicate, and you have an opportunity, and you have customers. Kate Colbert: [00:23:21] If you have somebody who’s writing you a check on a regular basis, whether it’s for, you know, advisory services or for, you know, filing your payroll taxes, those people do want to hear from you and they do want to know you. And I would say 9 out of 10 business owners and professionals are coming up a little bit short in that area of communicating appropriately. Kate Colbert: [00:23:42] And it’s not about communicating often. So, a lot of people will say, “Well, we put out a newsletter every month. They spend all this time.” First of all, I would be curious to know if people are actually reading the newsletter, you know. And most people aren’t. I don’t. Almost every professional I get a newsletter from, I don’t read it. It’s got to be the right headline to catch my attention. I rarely see that, you know. Peter Margaritis: [00:24:04] So, how do people do better? So, the good news is that, I think, professionals in the financial space can absolutely do better to be connecting more meaningfully. And it does tie back, of course. If you spend a lot of time communicating in a way that’s not salesy, it will make your cash register ring. You just have to understand sort of how there’s a line of sight to revenue. And that is not to say that I think you should be giving away everything for free. And we can talk about that today too if you want to talk a little bit about sampling that kind of stuff. Yeah, you got to start with an imperative to communicate beyond just the transaction. Peter Margaritis: [00:24:38] Cool. Thank you for addressing that. And I wholeheartedly believe that as well. Kate Colbert: [00:24:43] So, principal number two, live and die by your customer insights. What’s interesting to me about financial professionals is that, you know, here’s a group of subject matter experts who are all about the data, right. They could care about the numbers, right? All about the numbers, right? Kate Colbert: [00:24:58] Except I would argue that thinking like a marketer requires that you’d be looking at some other numbers that you’re not looking at. So, we have a fair number of clients in the financial planning space who have been running successful businesses. And when I sit down with them, and I say, “When is the last time you did a client satisfaction survey?” and they usually say, “We’ve never done one.” And they say, “Well, our clients are really happy. Like, we have no turnover. They stick around.” “Okay. Well, what are they happy about?” They’re not sure. They think they know. Kate Colbert: [00:25:28] So, your customer insights really are about reaching out and finding out. So, here’s a couple of things that we’ve found out for clients in the financial spaces when we’ve done market research with their clients. And, one, I should start with a caveat, I understand that the listeners to your podcast work in regulated industries, right. And it’s very, very easy for people who work in regulated industries to say, “I can’t do this kind of stuff because I can’t get people to respond to my online survey because I can’t do what your other clients do, Kate, and incentivize, and say someone’s going to win a $250 Amazon gift card.” I get that, right. I understand that. But, interestingly, we do get statistically relevant data back. And if you’re running a pretty solid company, as it is, people love you, they will respond to your survey. It’s just about how we ask them to do so. Kate Colbert: [00:26:18] The things that we’re finding out for a financial services firms when we do the research and look for the insights are things that are game changing. So, we, often, will find out we had a client who really specialized in working with independent women. So, either single women, or women who were divorced, or women who own their own businesses. And that’s really the bread and butter in terms of her clientele. And she was about ready to put a stake in the ground to actually change her brand story, her tagline, everything, her website to really hone in on that, and almost put a hand up to new male clients. Kate Colbert: [00:26:55] And we did the research. We found out some interesting things. Her most loyal and appreciative clients were male. Now, her female clients are very, very happy. But when we looked to the numbers, statistically speaking, the men are overwhelmingly appreciative of the work she does. Kate Colbert: [00:27:10] Interestingly, as well, the educational offerings that she was offering, whether it was seminars on Medicare, and continuing care communities for people who are coming up on retirement, or if it’s events at the beginning of the year that’s a more social event that everyone’s getting together to do some vision board, so they can think about, “Do I want to take a trip to Alaska this year? And then, how do I save money for that,” she thought these types of events, especially the social events and the things that are really sort of more community-based, she thought were women, only women want it, that’s a women’s event. Significantly, if you’ll look at the numbers, men are actually clamoring more for that than the women are. And it was really interesting. Kate Colbert: [00:27:48] Yeah, we were surprised. So, I was surprised too. I usually, like, place some bets on what I think we’ll find out in the research, and I was dead wrong on that one. And the numbers were just unequivocal. But it was interesting for us to find out that in the financial space, and we’ve seen this for other clients as well, the emotions, and the aspirations, and the ego, and all of the things that are tied to money for individual consumers and clients, women are sometimes more likely to be forthcoming about that as a client in the meetings. Kate Colbert: [00:28:20] But men, sometimes, have a pent-up need to express that and to talk about what they care about for their family, what their goals are, whether they want to be able to, you know, help their in-laws you know when things get tough or when they get older. All those things that they may not be expressing, oh my gosh, if you go do the research, you can find out. Especially if you do anonymous research, men will tell you some interesting things. And if they tell it to you in those, it can help trigger some major changes to the kinds of service offerings that you’re making, the way you communicate about them, the way you price them, everything in that regard. Kate Colbert: [00:28:58] So, again, I think, that it’s vital that you get beyond just the data in terms of, you know, how is someone’s portfolio doing or whatever numbers you’re looking at every day to figure out what do the insights from the customers say about how happy they are. What’s your net promoter score? So, how likely are they to recommend you? So, back to this whole idea of everyone says, “Well, I live and die by my referrals.” That’s great. Is your net promoter score higher this year than it was last year? Because if you know how it’s trending, you’ll know whether or not your company is going to grow next year or is going to fall off. You can be prepared for that. Kate Colbert: [00:30:08] It is my experience as a market researcher that 95% of the things that people are struggling and guessing at when they’re marketing and guessing at like, “Well, I think, our clients are happy about this,” or “I think, our clients are willing to spend this much,” or what have you, 95% of what people are putting in the ellipsis, “if I only knew …”, are things we can actually find out. And all we have to do is go ask. Kate Colbert: [00:30:31] So, I encourage folks in professional services space to be doing that exercise. And if you have colleagues and staff, sit around a table and do that exercise. Get out a flip chart and make some wish lists. Here’s what we think we know about our clients. Here’s what we wish we knew about our clients. Here’s what we’re concerned about in terms of whether we’re really hitting the mark with our clients and figure out how do you go fill in those gaps. Almost all of those gaps can be answered and filled by doing the right research. Once you have those customer insights, you know what pivots to make in your company to be able to grow. Peter Margaritis: [00:31:06] Thank you for that advice. I’m actually going to take you up on that one. Peter Margaritis: [00:31:10] I’m holding my feet to the fire because I never thought about that. Again, that’s good stuff. Peter Margaritis: [00:31:17] That’s great advice. Thank you so very much for sharing that. Peter Margaritis: [00:31:22] You’re on roll. Kate Colbert: [00:31:22] Yeah, I want to roll. I’m giving you the book for free, which, by the way, there’s a whole section of my book called Give It Away. It’s about sampling strategies. So, I’m giving away a lot. My book gives away a lot. But I trust if you think it’s useful, you’ll call me, right. Kate Colbert: [00:31:36] So, principle number three is really around this idea of what I talked about market in a way that’s strategy religious and tactic agnostic. And no, this is not about where you go to church. This is about, “If your strategy from a marketing standpoint is …” So, let’s say, for example, you say, “I want to focus my marketing strategy this year or for the next several years is going to be on doing a lot of one-to-one time-consuming, but high value, high-touch marketing and communication with the people who spend more than 30% of the average client spend with us.” Okay. So, if the average client is spending, whatever, $10,000 with you, the people who are, you know, well above that, those are the people. Kate Colbert: [00:32:16] If your strategy says, “We’re going to have cocktail parties for them. We’re going to do a lot of stuff for those people,” the people who sort of just fit into that average and below average, we’ll communicate with them regularly, but they’re going to get the mass market stuff. They’re going to get the newsletters. They’re going to log into the podcast. They’re going to get the basics, but not the stuff that’s really time-consuming for you as a leader or business owner. If that is your strategy, you need to be religious to that strategy if you believe that that is the right way to go. Kate Colbert: [00:32:42] But in terms of the tactics you apply and the stuff, the activities you do in marketing, you need to be really open minded and very agnostic about it. So, the right way to communicate might be things that scare you, right. So, it might be producing the right video series and workshop series when you don’t like the way you look on camera and don’t like listening to your own voice, but that may be the right tactic because it’s the strategy. It might be about doing more direct mail. It might be about hosting more events. You might need a television commercial or whatever. Kate Colbert: [00:33:14] Take a look at the tactics. And it’s not, by the way, always about the tactic of the moment. So, clients say to me all the time, and not so much now as they did like five or eight years ago, “Kate, we need an app.” And I would say, “Okay. Okay, great.” “So, what will the app do? Like, what are the functions of the app?” “I don’t know.” “What problems are your customers or clients having that you would like to solve with the app?” “I don’t know.” “Do you have any evidence that people would download an app sponsored by your company or brand?” “No, I don’t know, but everyone has one, and my competitor has one.” Okay. Peter Margaritis: [00:33:47] Oh yeah. Kate Colbert: [00:33:47] Right? Okay. Kate Colbert: [00:33:48] So, this is people who are being religious to a tactic saying, “Oh my god, everybody has an app. So, we have to have one.” If your strategy is all about creating convenience and sort of the pocket, right. So, it made sense that Amazon has an app, right, because it could be ubiquitous that people can shop anywhere, one click. They have one-clickified the world. That makes sense. No one has really one-clickified financial services. And, quite frankly, I don’t want my wealth management information available on my phone anyway. I just don’t. I don’t want, from a hacking standpoint or what have you, I don’t want that there. Kate Colbert: [00:34:22] So, it’s really about thinking about sort of what are the tactics that are available to you, and choosing, and trying them out, and, also, again not being religious. So, if you try something out, and six months later or nine months later, you have some way on your website that you can figure out, you know, you’ve been blogging. Kate Colbert: [00:34:42] Let’s say your blogging like a theme. That’s your new tactic this year. And you’re posting these blogs on LinkedIn Pulse and various other places. And that should be driving people back to your website to transact a lot of form, you know, schedule a consultation, et cetera. If the data in your Google Analytics shows that no one from who’s reading those blogs is turning into a client, you need to ask yourself, is it working, or should I put less energy into this tactic? And should I go ahead put that on the chopping block and look at something else? And so, it’s about being willing to try new things, and then walk away from new things. Kate Colbert: [00:35:19] Also remember, too, that if you’re not communicating, again, it’s about connection, there are a lot of a lot of financial services firms that are doing one thing. You talked about advisory services. So, maybe I use my accountant to file my taxes, but maybe I don’t realize that she has these five other services that I could be using her for. If she’s not communicating that to me clearly, I don’t know. And she has to try different marketing tactics to get my attention. We just talked about we’re all getting too much email. So, it’s about understanding what’s your strategy, and then trying out some new tactics. Kate Colbert: [00:36:07] Yeah, yeah. Peter Margaritis: [00:36:07] … on a consistent basis because at one-year mark, I was frustrated. A year and a half mark, that’s branded. Kate Colbert: [00:36:26] A longer lead time. Peter Margaritis: [00:36:27] Yeah, than maybe blogging. Kate Colbert: [00:36:29] And that’s good advice. And it’s about — right. So, you were strategy religious, right. I’m sure a ton of thought went into, “Do I want to do what it takes to start this podcast and maintain it?” It’s a ton of work, right. But you have this interesting brand. I was actually — I was doing a Facebook live earlier today to my book launch team, and I was talking about the fact that I’d be having this conversation with you. And here’s how I described you. I said this, “He’s a really great guy. He’s known in the marketplace as the Accidental Accountant. He teaches people how to take the numb out of numbers.” I talked a little bit about your book, I talked about what you do, and I talked about your podcast, and about how it’s about changing your mindset. Kate Colbert: [00:37:06] And in my mind, your podcast is a really important part of your story. It’s an important part of who you are even though it took a while to really gain that traction. So, you know, you stayed religious to it because you knew that it sped the strategy. And then, now, it’s really paying off for you, which is great. Peter Margaritis: [00:37:22] And I think I heard you create a new word. Did you create the word clickified? Kate Colbert: [00:37:57] But that comes back to this principle five, creating value and capturing value. Anything you can do to make things easier for your clients, your customers is about creating value. It might be hard work for you upfront. It’s not easy to start a podcast, for example, or it’s not easy to set up all the technologies of that with one click. Peter Margaritis: [00:38:45] So, I know what I’m getting you for Christmas this year, a t-shirt that says clickified. Male: [00:38:55] That was easy. Kate Colbert: [00:38:55] Yeah. So, we need to want to one-clickify, you know. And then, you know, the other piece that I would say that’s interesting for your listeners is, you know, so principle number four of thinking like a marketer is really about creating processes and cultures that align to the brand. Kate Colbert: [00:39:14] So, for example, if you are an accounting firm that prides yourself on no surprise invoices, that you never have a client who says, “What is this?” right, then, you’ve got to be thinking about how do you create processes and cultures where you’re continually adding value, but you’re not feeling short-changed. Kate Colbert: [00:39:30] So, whether that has some sort of retainer in relationship or that your pricing is structured such a way that there is always a little bit of cushion, so that if people are calling and asking for extra advice, you don’t feel like you’re giving it away for free. So, how do you think about what your brand is, and then create cultures and processes that align to it? Kate Colbert: [00:40:11] Now, first of all, there’s no one who uses any phrasing like that at all in the industry, in the airline industry. So, what does it look like to have processes and cultures that are around delivering good old-fashioned civility? Well, they’re all about their planes being on time. And they do that because everybody who works on the plane, when we all get off, they’re picking up. They all clean. It doesn’t matter who you are. You know, it’s not just the cleaning crew. The flight attendants, everyone is picking up stuff, and getting things moving around because they’re trying to create a process that feeds the brand. It’s about nobody having so much arrogance to say, “It’s not my job to clean this plane.” They’re all about making things really easy, and comfortable, and not about nickel-and-diming the client. Kate Colbert: [00:41:17] And folks like Gary Kelly keep saying, “We’re not going to. Like that is not on the table,” because he’s one of those people, he’s a business owner who understands, a business leader who understands that your processes and your culture have to align to the brand. And there’s a reason that they, you know, continue to be the leading airline in the industry, and that they’re, I think, the only airline that’s never had a layoff; and yet, their prices are lower than almost everyone’s, right. And so, they get it, right. Kate Colbert: [00:41:44] They, also, are listening to the customers. They understand the bags flying free matter. So, I was in Florida not too long ago. I was headed out on a cruise. And this side of the parking structures was like, you know, four stories tall, this huge piece of concrete. And it was painted as a giant billboard with the Southwest logo, what have you. And it said something to the effect of, “You look fabulous in all of those outfits. Go ahead and pack them all. Bags fly free, right. Kate Colbert: [00:42:10] Right. And I burst out laughing. I’m like, “That’s totally me.” Like I’m the girl who takes eight suitcases on a cruise because I want to wear it all. I took 15 pair of shoes on my last cruise, and I did wear them all. I know, I know, I know, I know. I’m impossible, right. But this is about them having processes that align with what the customers care about and that align with the brand. Kate Colbert: [00:42:31] And so, you can do that. And if you’re on an accounting firm or a financial firm, you can be thinking about, what do we do, right. Like I know a financial firm that does a really cool thing that their building that they own literally has like a ballroom, like event space, in the middle. The largest part of their building is not offices for the executives. It’s this huge space with round tables, and a stage, and the whole because they’re constantly bringing in speakers and having events. And they’re all about creating value. They’re about communicating for connection and meaning with their clients because they want to create real relationships. So, they literally had an architectural sort of space planning planned that aligned to what makes them meaningfully different. Kate Colbert: [00:43:16] And so, we need to be thinking about that as business leaders. What are we willing to do differently in our day-to-day processes, up to and including the way the building is laid out, in order to really deliver on the story that we’re telling to the marketplace about what makes you a better accounting firm than the accounting firm down the street? Peter Margaritis: [00:43:36] So, let me ask you this question as you were talking about Southwest Airlines. And this may go into number five or maybe part of number four. So, that’s my question. I won’t give it away, but the way he ended his presentation, is that a number four or is that a number five? Kate Colbert: [00:43:52] Yeah, no. And so — Okay. So, the way he ended his presentation, and I cannot stop talking about it, right. So, here is a man who stood up in front of about 1500 professional speakers of various levels of fame and talent. And he gets up there, and he’s kind of this really casual guy who didn’t have like a really fancy script. And he’s like, “I’m not one of you. I’m not a professional speaker.” He was very humble. And he gave this really amazing speech about what they do, and what makes them different, and why he believes in what they do. And he ended it by giving a gift to everyone in the audience. Kate Colbert: [00:44:24] What I loved is that the moderators for the conference come up onto the stage, and they do this whole sort of like, you know, inner calm voice, you know, “Ladies and gentlemen, please remain in your seats for the safety of yourself and other passengers while the flight attendants come up aisle.” And all 1500 of us all turn around and start looking at it. And we’re like, “What do you mean the flight attendants coming up the aisle?” And here come all these flight attendants from Southwest Airlines, not just to hand out pretzels, but to give every single one of us in the audience a $100 gift card. Kate Colbert: [00:44:52] I happen to have mine sitting right here on my desk, okay. And I just used it. So, I just hired some consultants to help do some brand work for me. And I have to go to Nashville in a couple of months. And so, I just used this $100, and I was thrilled, and I have tweeted about it, and I’ve talked about it on Facebook, and I took my picture with a flight attendant while I was there, right, and thanked her. Kate Colbert: [00:45:17] So, this is about — And, now, think about this. On one hand, we’re like, “This is so generous,” right. It cost them $1500. It’s a heck of a lot cheaper than a television commercial. It’s cheaper than a direct mail campaign in an audience of their size. It’s a pretty affordable tactic, but it aligned to their strategy, right. It comes back to the whole strategy religious tactic agnostic as well, and that they thought, “Oh my gosh, 1500 people are going to be feeling this sort of sense of endearment for Gary Kelly who was just on the stage at their event feeling like one of them, right. And he’s going to give real money away.” And then, we’re going to ask them, “If you’re kind of excited about this, could you go throw a hashtag and talk about this on social media?” and a lot of us did. Kate Colbert: [00:45:59] It created — Southwest Airlines created value, and excitement, and a memory, which is way more important than the $100 to each of us, but it also took some pressure off of us, all of us who had just that money to be at a conference and might have been bemoaning that. Those of us who own our own firms are like, “Crap, I’d have to pay for that,” right. And here is this free $100. He created value for 1500 people in the audience, and he captured value back. Kate Colbert: [00:46:22] Do you know how many times — I’ve always been a fan, but you know how many times in the last month I have told that story and told people, “If you do not fly Southwest Airlines, you are insane,” right. Talk about referrals. And because I was finishing my book just as that happened, that story actually made it into my book. So, you know, if the book is a big bestseller, lots and lots of people are going to read that story as well. So, it absolutely is. Kate Colbert: [00:46:48] So, principle five is about sort of maintaining this continuous sort of cycle of creating value and capturing value back. And creating value means, sometimes, you’re going to give stuff away for free. Maybe you’re going to invite people into your audience for a perspective — into your office for prospective clients, and you’re going to meet with them and their spouse, and you’re going to do like kind of a whole road mapping thing about their financial goals, and you’re going to give them — maybe you’re going to build a plan, and maybe you’re going to take some risks. So, you’re going to sample out. You’re going to let them sort of see your thinking. And if they love you, they’re going to sign up for thousands of dollars’ worth of financial planning, you know. Kate Colbert: [00:47:22] So, it’s about can you create value for people, not just upfront when you’re trying to win them, but continuously, how do you keep creating value? But how do you capture it back? So, at the end of the day, we’re all in business to stay in business. So, it’s not about giving it all away or selling it for too cheap. It’s really about figuring out how do you make sure that you’re pricing yourself right. Kate Colbert: [00:47:42] I would venture to say that a lot of people who own their own firms are giving away too much, or they’re just pricing their services too low. And that’s really, I think — And, again, we come back to this whole, are your current clients referring the wrong kind of clients to you? Like, could they be referring bigger clients, corporate clients, deeper pockets clients? What does that look like? So, you know, if you’re doing too many touch base mediums that you allow your clients to call you 27 times a year with no fees associated with additional mediums beyond two per year or what have you, you need to be thinking about that. Kate Colbert: [00:48:15] And you shouldn’t feel guilty about that. We all went into business to be able to do something sustainable. You cannot get back to the top of that cycle. You cannot create more value for your current clients, or your future clients, or internal customers, or whoever you serve if you’re not capturing money back to the bottom line. And, again, accountants get this more than anybody, right. You know, it has — It’s like, what is that balance sheet look like for you, you know, in terms of the value you’re creating, the value you’re capturing back. If you’re constantly working on that, your business is going to be around as long as you want it to be. And then, you can retire and go buy a yacht. Kate Colbert: [00:49:22] I know. Peter Margaritis: [00:49:23] And I’ve been a fan of Southwest from day one. They do get it. There’s one other airline I won’t mention that gets it but that’s what really gets it. Kate Colbert: [00:49:34] But it’s about delighting. And I think those of us who provide professional services, again, sometimes, we forget about the emotional component of our client. So, yes. You know, when I hired an accounting firm, was I hiring them to help manage the books for my two businesses, and to take a lot of that work off my to-do list, and help me figure out should I be, you know, 1099 or should be an employee, and what does that look like? There were a lot of things, tactical things that I was hiring them to do. Kate Colbert: [00:50:01] But at the end of the day, I was hiring them to delight me. I was hiring them to take pressure off to make me feel confident, to make me trust them, to make me feel safe, to make me excited every year when we filed taxes about how much money is left over. So, Kate is getting new floors right now actually. So, I’m always spending money on exciting things. Usually, travel or home improvement. But what does that look like? Yeah. Kate Colbert: [00:50:23] Yeah. So, I mean, I think that it really is. And you talk about the story. What story are people telling you about you? And I think that’s an important thing for folks to remember is that even if you are nailing the story that you’re telling about your own firm or your own company, and what makes you different, you need to be listening to find out what are people saying about you. What story do they tell about you? And is it the story you want them to tell about you? Is it the real story, right? Kate Colbert: [00:50:47] Again, so, you know, I would be in a bad place if what everyone’s saying to the marketplace is, “Oh, she’s the fixer, you know. If you get in trouble, you behave your way into something, you know, she’ll help you communicate your way out.” That’s not true. That’s just not true, right. Ethically, that’s just not who I am. Kate Colbert: [00:51:04] And I like to sleep every now and then. And so, client communication is exhausting. Like I have had cameras shoved in my face, and, you know, “Kate, I heard your employer, you know, just did this thing, and 30 cancer patients are all going to die, and it’s your fault. What do you have to say about that?”, right. So, that’s the kind of work that if I wasn’t listening to see what people were telling about me, and then correcting them. Kate Colbert: [00:51:26] I had a client, for example, who used to introduce me. He’s a New York Times bestselling author, very famous man, very wealthy man. He used to tell everyone that I was his PR person. And public relations is a tiny bit of what I do. And a lot of people don’t know the difference between public relations and marketing. And I thought, I need to sit down with him. Kate Colbert: [00:51:44] And so, I had dinner with him, and explained to him the difference between public relations and marketing, and why I need him to tell a different story about my company because he was telling the wrong story, he was driving the wrong clients to us, and he’s a goodhearted man. He thought he was helping me, and he was actually sending us the wrong clients. Kate Colbert: [00:52:00] And so, be listening. Again, this comes back to, you know, live and die by your customer insights. What are they saying about you? If you don’t know because you can’t monitor what they’re saying on social media because they’re not being public about what they’re saying, go ask them. Do a survey, have a focus group, put a bunch of them in a room, feed them some pizza, give them some money. In a regulated industry, you can’t give them some money but find out, you know. Find out what people are saying about you and make sure that story aligns with where your business is today and where it’s headed tomorrow. And if it’s not, figure out how to fix that. Peter Margaritis: [00:52:30] Kate, you had given my audience a Southwest gift card, and they don’t even realize it. God, how can people find you? How can people find you and your book? Your book is out there now. It’s live just a little maybe under a month or something like that. Kate Colbert: [00:52:45] Yeah, yeah. Peter Margaritis: [00:52:45] So, how can they get the book? Kate Colbert: [00:53:00] If you have a prime membership, which who in America doesn’t, the book ships free with prime. So, buy a book. Have it about four days later. If you love it, please write a review and let me know. There is a community on Facebook. So, there is a group, a public group on Facebook, Think Like a Marketer group. If you read the book, and you start applying some of these insights, or even just based on a conversation today, if you get some ideas, and you try to go try something new at your company based on these insights, I would love to hear how it goes. Kate Colbert: [00:53:30] Go to that group. Please join the group. Tell us how it’s going. It’s a great place to meet other business professionals in various professions and functional areas. Bounce some ideas off of each other. Get some free consulting out of each other. So, please do that. And, obviously, you’re welcome to reach out to me directly. All my contact information is on the book site. It’s also available at SilverTreeCommunications.com. Peter Margaritis: [00:53:50] Kate, I’m actually going to post something on the Think Like a Marketer Facebook group today before the end of the day talking about this. I will post the podcast there. You did great work. I can’t wait to get the book and read it. I can’t begin to thank you so much, one, for taking the time. And so, secondly, the amount of time you put in to ensure that my book came out looking like a diamond. Most I’ve been told, I’m a diamond in the rough. You made it look like a diamond. So, thank you very much. I appreciate you. I’ve got some more work for you coming up here real soon. Kate Colbert: [00:54:28] There you go. Right back at that lens. It’s such a pleasure. Thank you for letting me come on, and thank you for letting me talk about the book, and thank you for letting me give a little bit of love to the folks out there who might need to think like a marketer and didn’t even know it. Peter Margaritis: [00:54:40] Thanks, Kate. Kate Colbert: [00:54:41] Take care. Peter Margaritis: [00:54:43] I want to thank Kate for taking her time to help us change our mindset and become a better marketer, so we can grow our business. I’d like to personally thank Kate for putting out one heck of a product in publishing my book. I’m still so overwhelmed by it, and the feedback that I’ve received has just been fantastic. Thank you very much, Kate. Peter Margaritis: [00:55:03] In Episode 11, my guest is Courtney Kirschbaum, who’s been on my podcast before. She was the opening keynote speaker at the Georgia Society of CPAs Southeastern Accounting Show. And we talked about her presentation titled The Beginning of the End or the End of the Beginning. Tune in. It’s a fascinating conversation. Peter Margaritis: [00:55:24] Thank you for listening, and begin the process of changing your mindset, and getting out of your comfort zone, and develop new skill sets to become more future ready. Your call to action is to begin to apply the five principles outlined in Kate’s interview and start measuring the results. Also, get out there and become a better networker. Remember, a part of being future-ready is being an improviser. Being an improviser is someone who is willing to take risks in order to grow. Thank you for listening.